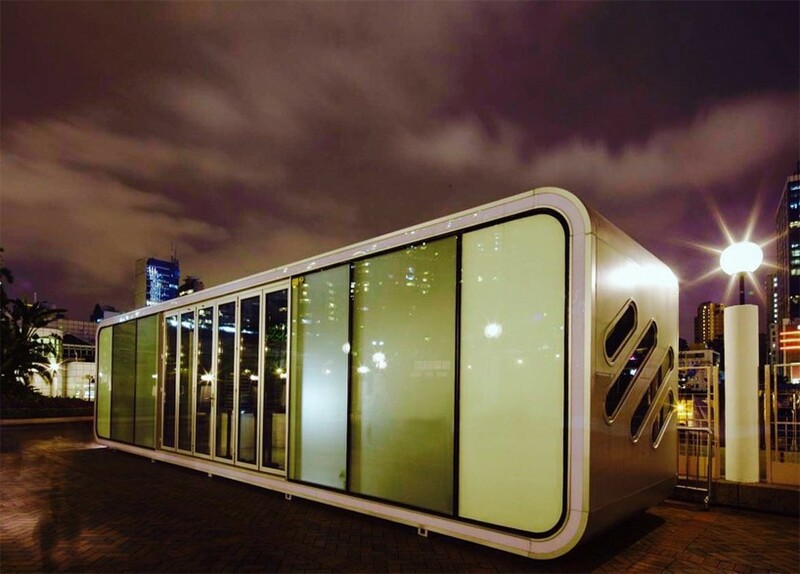 Conceived as a mobile home of the future, “The Alpod”, developed by James Law Cybertecture, Aluhouse and Arup explores modular construction based on creating a flexible and open-plan living space. The lightweight shell composed of aluminum makes the module easy to transport, that aluminum’s multi-faceted advantages of being light weight, strong, corrosion resistant, and impervious to firewhile its versatile and straightforward layout allows it to adapt as a home, holiday cabin, an office, retail or exhibition space. A distinctive feature of the alpod project is its potential to be stacked into a uniquely designed multi-structures to accommodate ever increasing populations and lack of available land. The glazed sliding doors fill the interior with light and fresh air. it is engineered as a fully integrated dwelling with environmental controls, air conditioning and fitted kitchen and bathrooms; providing the necessities to facilitate the day-to-day life of the user. 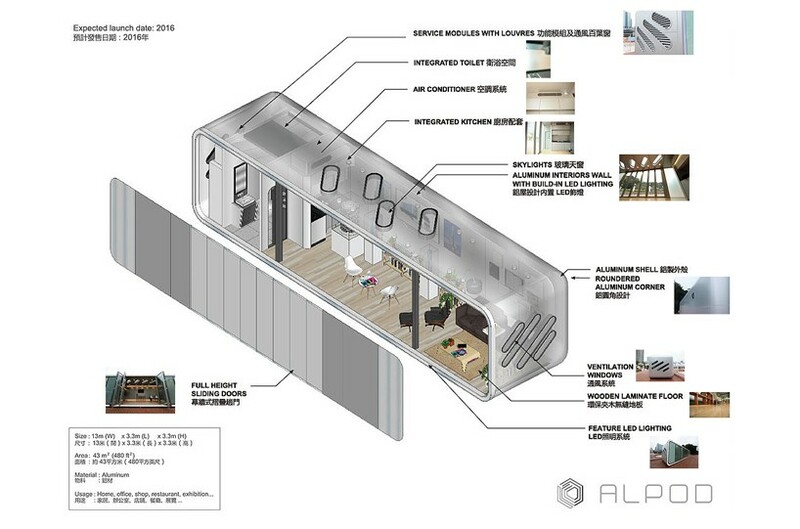 Eric Kwong, managing director of Aluhouse, comments about the mobile home’s material: “Aluminum easily adapts to different climates and environments, and its light weight also enhances mobility, allowing a home to be moved from one place to another in an easy and convenient way without dismantling or reconstructing facilities,” explains Kwong. “Moreover, aluminum can be recycled, making it a green, earth-friendly building material. 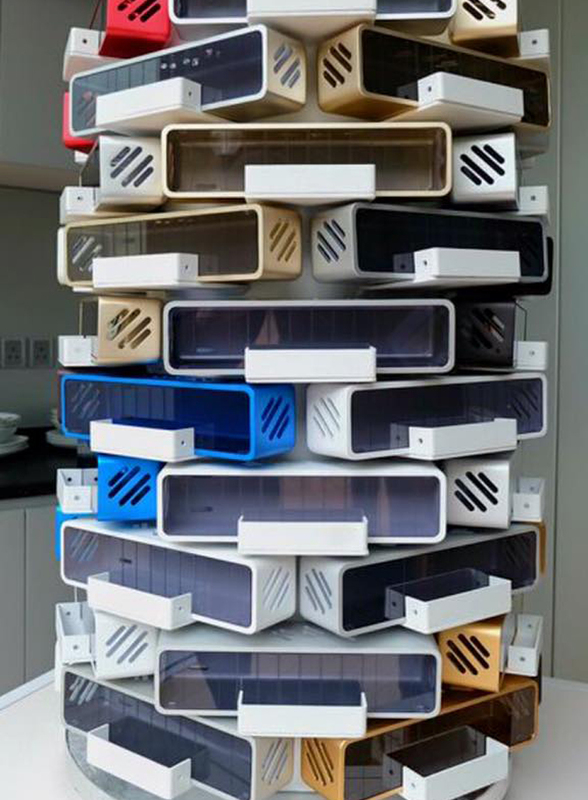 in fact, today aluminum is widely used in the aerospace industry, as well as in airplanes, the next generation of automobiles, and even the latest smart phones and telecommunication products.” But you can always check Prefab Shipping Container Houses. Impressed? – we recommend you to check more shipping container homes.